Arsenal Newspaper feeds you with Arsenal news from top football news sites like Arsenal.com, ESPN, SkySports, Daily Mail, and Metro. Injury News, Transfer News, Lineups can be found here. 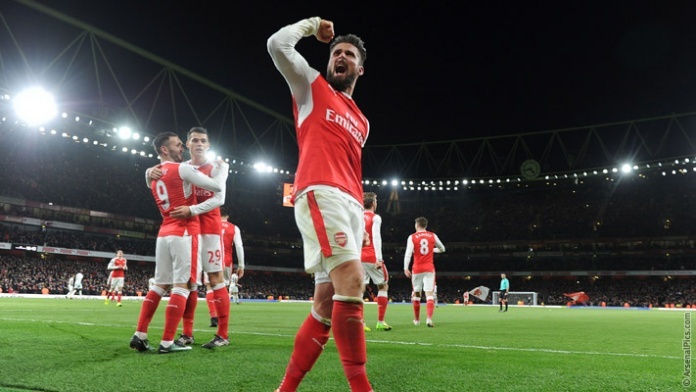 Arsenal returned to winning ways when they faced West Bromwich Albion at the Emirates Stadium on Boxing Day. It was a very tough one for the Gunners who knew what was at stake if they lost a third consecutive league game. 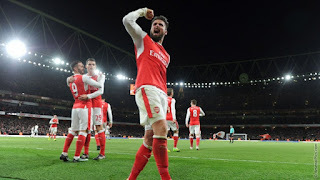 The visitors defended so well thereby making it goalless till the 87th minute when Olivier Giroud superbly headed in a cross from Mesut Ozil. That was the only goal in the match which ended 1-0. A nice Boxing Day present it was from the players to the fans. You could call it a narrow escape but what matters most is that no point was lost. Arsenal are still fourth on the table, nine points behind current league leaders Chelsea who beat Bournemouth 3-0. Your comments are highly welcomed but please be informed that comments which include abusive remarks, hate speech, racial discriminatory remarks and any other form of prejudice are prohibited. Also note that comments visibility is subject to moderation so they will not show immediately. Europa League: Who Will Arsenal Play Next and When? Crafted with by TemplatesYard | Distributed by Blogger. © 2014 - 2019 ~ Arsenal Newspaper || All Rights Reserved.